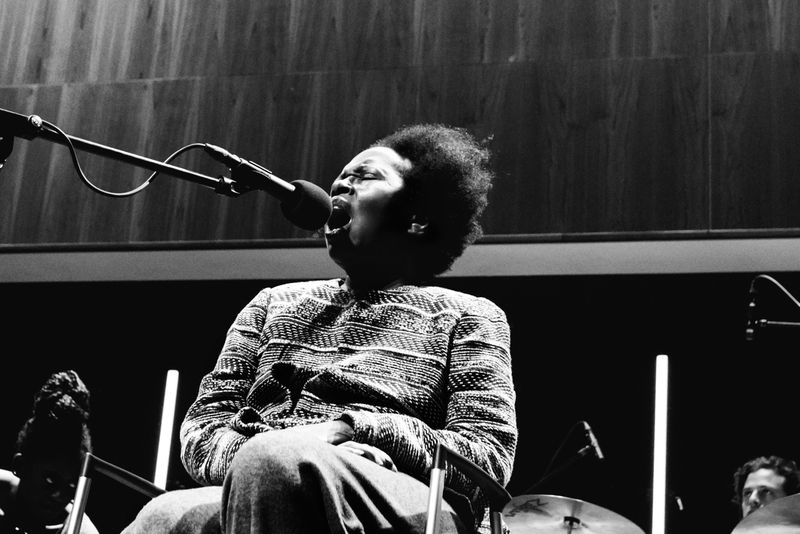 Renowned for her work with guitarist Sonny Sharrock in the 60s and 70s, Linda Sharrock has become a leading light in the world of experimental jazz and avant-garde. Her vocal delivery is a hallmark of freedom of expression: a soaring sound, alternating vocal jolts of lightning with soothing coos and whispers. In 2009, Sharrock suffered a devastating stroke, which left her unable to speak. With the help of collaborators like Mario Rechtern and Margaret Unknown, she luckily found her way back to music. Sharrock has always retained her roving spirit, collaborating with artists as diverse as The Roots, poet Ernst Jandl, and jazz legends Pharoah Sanders and Herbie Mann throughout the years.